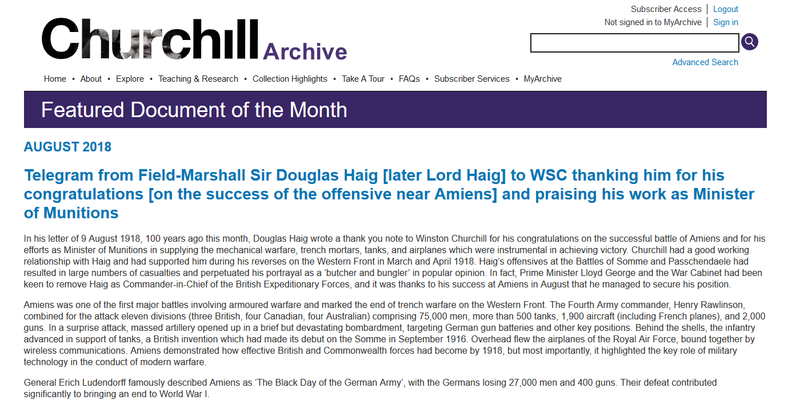 In addition to providing extraordinary insight into the public and private life of one of the most significant figures of the 20th century, the 800,000 documents available in the Churchill Archive shed important new light on over 50 years of British and world history. 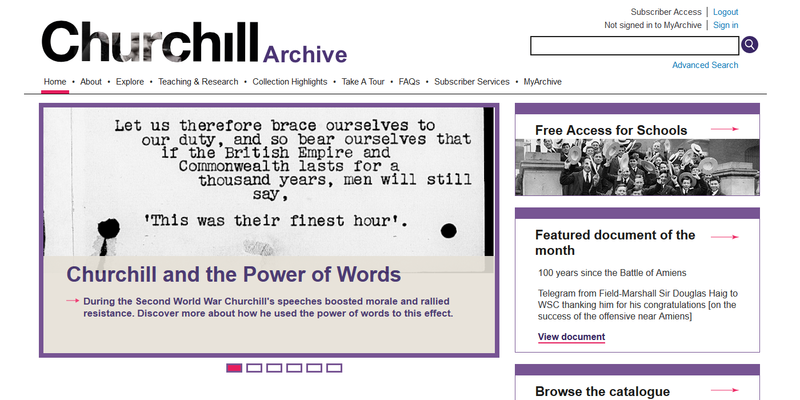 The archive includes Churchill’s personal correspondence plus his official exchanges with kings, presidents, politicians and military leaders – from his early correspondence with his family, to letters from the 1950s where he called for a summit with the Soviet Union and letters where he wrestled with the destructive power of the hydrogen bomb. IP Authentication, Username and Password, Library ID Card. Usage statistics are available when you log in to your account via the Bloomsbury Administration Portal. Promotional materials such as flyers, posters, banners and more are available for download here.